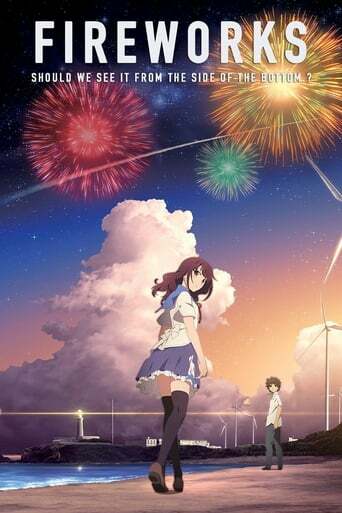 One summer day a group of sixth-grade boys have an argument about whether fireworks are round or flat when viewed from different angles and embark on a journey for the answer during the annual firework festival. Meanwhile, one of their classmates, Nazuna, is troubled by her parents' separation and decides to choose one of the boys - Norimichi or Yuusuke - to run away with depending on who wins a race at the pool. East Japan Marketing & Communications Inc.